What Happens to Co-signed Debt after Divorce? Finances become unavoidably mixed when couples enter into long-term relationships, and married couples experience this even more because of the laws that grant them ownership rights and access to certain assets and accounts. The intertwined financial obligations of spouses can become even deeper if one spouse co-signs for a loan for the benefit of the other spouse. This arrangement does not present a problem unless divorce enters the picture, and the co-signer suddenly wants to disassociate from this obligation. Co-signing for a loan is a big commitment, regardless of who the other person is, and should not be done without consideration for the long-term consequences, particularly if the primary signer decides not to pay. Taking on financial obligations, including debt, is normal in most marriages, but this liability becomes a huge burden in divorce, especially as each spouse tries to reestablish a new life. The looming question in many divorces over the issue of debt is the ability to have one’s name removed from accounts, contracts, and other documents that indicate legally and practically the person is responsible for the debt. In other words, does getting a divorce automatically and completely relieve a spouse of debt if the divorce judgment assigned it to the other party? A discussion of what divorce means in terms of severing legal rights and obligations, and the effects of the division of debt in divorce will follow below. Divorce, or using the official term, dissolution of marriage, legally severs the ties between a couple, allowing them to remarry another person, and cuts-off the benefits and obligations of marriage. Divorce gives each couple the right to ask for division of marital property, seek alimony or spousal support, and establish the division of parenting responsibilities, including child support. Not all of these issues may be settled as desired or on an equal basis, but these are the main matters that encompass ending a marriage. Further, tax benefits, liability for a debt, the ability to include a spouse’s income for purposes of obtaining credit, and the right to death benefits all cease once the divorce is issued. Thus, divorce, in a basic sense, seeks to return each spouse to a position approximating where they were before marriage, but with an acknowledgement and tangible recognition of the contributions each provided to the union. Hence, the consideration of financial and parenting considerations. Debts are a part of marital property, though not the part couples necessarily want to highlight. 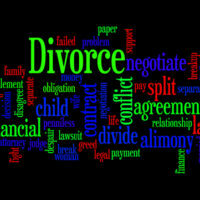 However, these liabilities must be divided, just as the assets are split between divorcing spouses. All marital property, both assets and debts, are subject to equitable division, which starts with the presumption that everything will be divided equally, but is ultimately concerned with obtaining a fair result. Thus, a spouse primarily responsible for the accumulation of debt may be allotted a greater portion in the divorce to account for this discrepancy. The important thing the spouse relieved of debt needs to understand is that a divorce does not bar creditors from continuing to pursue both spouses for outstanding obligations. Loans and other forms of debt are based upon contracts that remain in full force, even after a divorce. Thus, to ensure the debt is fully transferred to the former spouse, the loan must be refinanced or a release signed. The type of debt will determine the documents needed to release a former spouse from continued liability, and an experienced family law attorney will be able to fully explain how to properly divide debt, and what must be done to completely lift future responsibility. It is hard to move on from the pain of divorce when you are left responsible for large amounts of debt. Negotiating the fair division and transfer of these obligations is a big part of obtaining a fair outcome, and the attorneys at the office of Joyce A. Julian, P.A. have years of experience and expertise that can help you find an acceptable resolution. 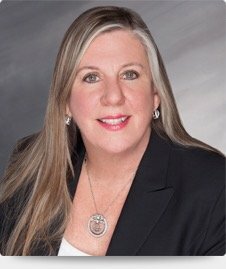 If you have questions about your rights in divorce, contact the Florida family law firm of Joyce A. Julian, P.A. for a free consultation.